The field of cosmetic medicine is a thriving industry but there are many doctors who may still not be aware of the potential opportunities it has in store for them. Currently, the cosmetic medicine industry is worth more than $4.4 billion and is growing day by day. The major aspect of this industry is the administration of non-surgical cosmetic procedures especially Botox and dermal filler treatments. These are minimally invasive treatments with minimal downtime, temporary and with low risks. They are fairly easy to learn (as compared to most hospital based surgical procedures) with the advantage of learning treatments or concerns individually and applying them within short time afterwards in clinical practice. Eg: There are doctors who start with wrinkle treatment injections while others start their career with anti-pigmentation treatments or just lasers. With the rising awareness about these procedures and demand, many of doctors have already started acquiring these new skills of injectable treatments which is making their transition easy and gradual from the field of medicine to aesthetic medicine. Previously, it was assumed that dermatologists or plastic surgeons would be able to handle this demand but due to commitment to medical issues they rarely have the time to acquire aesthetic skills. However, with more and more organised training programs that cover necessary dermatology & anatomy it has become easy to enter aesthetic medicine by learning one treatment at a time. Credit is due to the aesthetic industry as a whole which despite lack of proper governmental support has produced some unrivalled educational programs and experiences. Doctors can easily adopt cosmetic procedures and offer them alongside their regular practice because these are viewed as ideally compatible with many practices. Even gynaecologists are taking a plunge into the field by offering cosmetic treatments like microdermabrasion, laser hair removal, liposuction along with their medical practice. Other physicians and surgeons wishing to offer treatments for migraines, hyperhidrosis, bruxism, muscle spasms (as post whiplash and shoulder knots) will realise that many of these treatments fall under the domain of multiple specialities currently. Being trained as an aesthetic practitioner or doctor means that you can now choose to have an employment at some cosmetic clinic or you can open up your own cosmetic clinic where you can exclusively offer aesthetic treatments. By opening your clinic, you can also choose to quit your medical practice and work full time as a cosmetic practitioner or can run your private practice alongside your NHS job. It gives you a liberty to effectively control your time & earnings. Nevertheless, running a medical clinic is not very easy but with the right guidance this process can be simplified into easy steps. Unfortunately, this is one of the biggest attractions this field has to offer to the doctors. Current climate for doctors in training as well as after qualification may have a role to play in this. Financial renumeration MUST NOT be the driving force behind your decision to enter this profession as thousands upon thousands of doctors have already tried that by attending prominent courses but failed with loss of money, time and morale. However, it is true that cosmetic practitioners have the potential to earn far more than the average hospital specialist physician or surgeon for equivalent time. Majority of the non-surgical cosmetic treatments are high fee but take less than an 30 minutes to perform making the turnover high. However, being properly remunerated means you have the option of exploring your creative & artistic side, attend expensive training courses & conferences (yes, everything in aesthetic medicine from training courses, conferences to membership fees of organisations) to expand your skills without worrying too much about how to sustain yourself in the process. In the regular medical practice, doctors have to face red tape and regulation issues in their routine work. But in case of cosmetic medicine practice, such issues are quite less as most of cosmetic practitioners are offering their services privately and the regulations for cosmetic practice are less strict as compared to most government medical organisations such as the NHS. Most of the patients wish to spend more time with doctors in order to get a complete satisfaction and also many doctors are willing to spend more time with their patients. Aesthetic practice offers a perfect opportunity to spend as much time you want with your patient and to spread joy and happiness through great aesthetic outcomes of the treatments. As most of the doctors possess the basic skills and experience required for the aesthetic training, so they can quickly and efficiently add up the newly learned skill to their practice without much difficulty. The aesthetic training courses for doctors are mostly quick to complete. Most of the aesthetic training courses can be completed in one day or week thus making it possible to get quick training and dealing with patients the next. Though aesthetic treatments give impressive and beautiful results to your patients but they are temporary in nature. So patients are highly likely to come back to you, if they like the results of your treatment, for repeat treatment. This allow you to develop long term relationships with your patients whom you can then offer to try out your new cosmetic treatments adding up to your repertoire. As already mentioned, doctors lead a tough life. They often spend extra hours to provide care and treatments to ailing patients in their medical practice which is rewarding in its own respect. Cosmetic medicine on other hand gives you a chance to take control over the time you want to spend with your patients. You can have more time to spend with your family, friends and can have a healthy social life which makes you more happy and satisfied with your profession. As the field is rapidly developing and expanding it also keeps you interested in your work without becoming monotonous. Cosmetic medicine is evolving and every year new, innovative and minimally invasive cosmetic techniques are coming to the forefront. You can keep on learning, acquiring and adding new skills and techniques to your cosmetic practice by getting aesthetic training in new cosmetic treatments that are easy to learn, quick to perform and deliver highly satisfying results. This keeps you interested in your profession and you never get bored with the same type of techniques performing time and again. What do aesthetic treatments hold for the patients? With the advent of HD camera for selfies there has been a tremendous increase in the demand of plastic surgical treatments during the last few years according to the American Academy of Facial Plastic and Reconstructive Surgery. According to the reports of BAAPS (British Association of Aesthetic Plastic Surgeons, during 2013 in the UK, 50,122 aesthetic procedures were performed that showed a rise of 17% from the last year. According to results of one of the study published in British Dental Journal , preoccupation with one’s overall appearance is usually the motivating factor in making people undergo certain kinds of cosmetic procedures. Another study published in Clinical Psychological Science Journal, reported that undergoing the aesthetic surgery procedures produced more positive psychological changes in the patients. The appearance of individual is related to the psychological and social well-being and therefore more and more people are now seeking cosmetic treatments. Patients seeking aesthetic treatments are also benefiting from these treatments by satisfying their inner sense of satisfaction with their physical appearance. Here cosmetic doctors also have a role to play. They should satisfy the patients through discussion and honest opinion that which treatment will prove best for them and for their looks and improve their confidence. 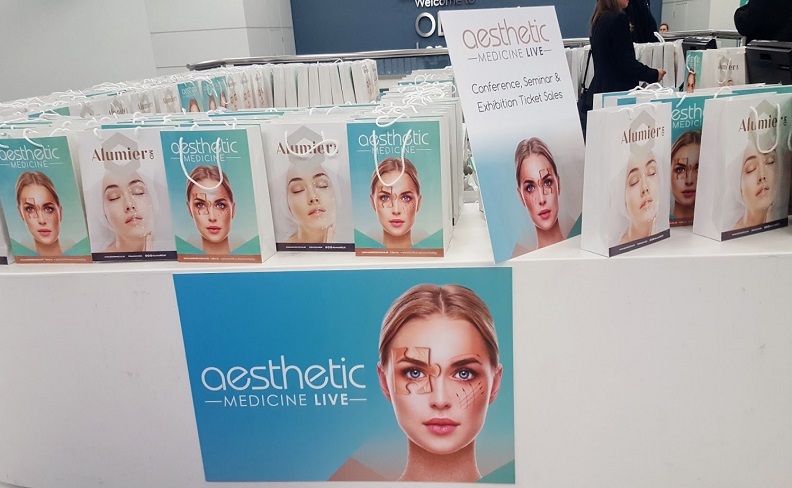 If your bored of hospital medicine or wish an exciting change and have some interest in cosmetics, art, fashion and entrepreneurism then a career in aesthetic medicine can be very fulfilling. The increasing demand for aesthetic treatments has started attracting large number of doctors and practitioners to this field due to its attractive and impressive opportunities for fruitful professional and personal life. I used to be general practitioner by profession but training in aesthetics opened up new and exciting world for my career. I have a passion for writing so I blog about the various options that are available for general practitioners in the industry of aesthetic treatments and how these can open up an exciting career for them. I reside in London and I simply love my new career shift as an aesthetic practitioner!